in me; I‘ve only ever heard one other band with this same instrumentation, and it‘s Dave Holland‘s Quintet, which I‘ve been a member of for some years now. I was fascinated to hear some other possibilities for this group of instruments, and the more I listened the more I felt myself appreciating the distinct personalities of these musicians, and enjoying their company. The first thing I react to from a musician is their sound, and all these guys have great sounds. warm and noble, and Andy‘s soprano sound especially leaves me a little envious! rhythmic moments. The compositions are very thoughtful and encompass a wide range of moods, and it‘s obvious that the band spent some time really getting to know the music and letting it grow. The tunes are challenging, but the band plays them with a great sense of spirit and camaraderie. 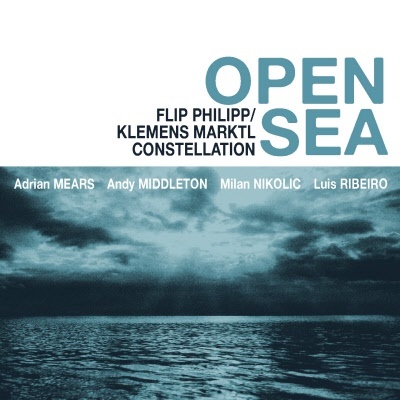 to this great piece of music he and his partner Flip Philipp have put together. I am really excited at the future of music.